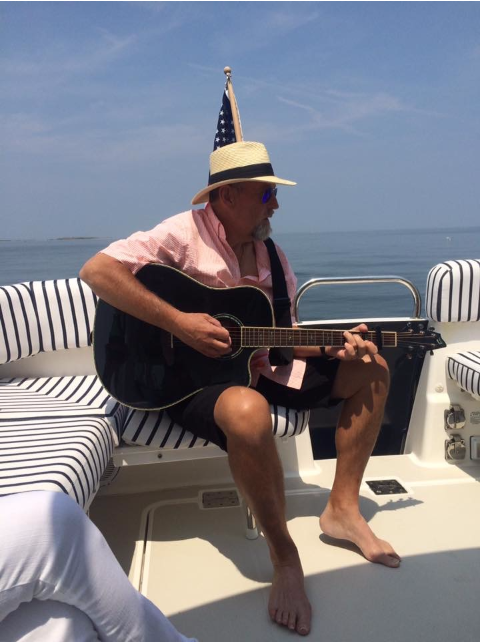 Just like Jimmy Buffett in “A Pirate Looks at 40”, I have lived and loved Buzzards Bay “since I was 3′ tall.” I have also been boating on Buzzards Bay since Rhoda Hinkels taught me how to sail a Beetle Cat in the 1960’s. Today, I’m a few years older. I bought out the family beach house and moved back to Mattapoisett where I now call home. I’ve been boating on Buzzards Bay all my life; first on my father’s boats and since 2001, on my own. In 2015, my wife Susan and I bought our first cruiser — TENACITY, a Back Cove 37 and literally rediscovered Buzzards Bay and points beyond. In the summer of 2016, we traded in Tenacity for Vigilant, a Back Cove 41 because it was better suited for cruising with two couples. Today we cruise from May 1st until late October. We’ve started heading down to Rhode Island and soon Maine and New York. Along the way, we’ve also crafted an entirely new lifestyle – My Buzzards Bay. This web site chronicles our adventures along with information about living the dream on Buzzards Bay that you can’t find anywhere else. We’ll cover Dock and Dine lunch venues (almost impossible to research), marinas, seaside eateries, boat music, cool marine gear, and more. Thanks for visiting and please sign up to make sure you never miss a single story.